1. SEO is messy: Tracking scores of keywords in multiple search engines, working with various content management systems, fixing broken code, updating stale copy and organizing data from tons of different places for presenting to an assortment of departments; you get the picture. It’s a lot of stuff to manage all at once! Cleaning up the mess from the last person who worked on your site and keeping track of all the moving parts is no easy task! 2. 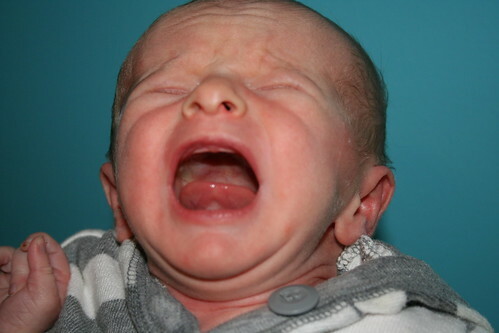 SEO is demanding: both babies and websites cry for attention in their own ‘special’ way, don’t they? Search engine optimization requires constant attention — keeping up with algorithm changes, competitors and industry best practices, oh my! 3. SEO is the center of attention: well not really, but it should be! If your SEO strategy is focused on conversions, find a way to simplify and display only the most relevant data to your superiors/clients. 4. SEO is unpredictable: ‘Googs’ really likes to keep us on our toes, and those “minor weather reports” about algorithm changes are felt throughout an organization even among the folks who don’t know a thing about it. Keeping up with search algorithm changes and being flexible is a must for SEO. That being said, if the writing is on the wall about a particular SEO practice, be proactive about changing it before it’s too late! 5. SEO takes time: Babies don’t walk before they crawl, and websites don’t rank for highly competitive keywords before they’re optimized! 6. SEO deprives you of sleep: Did your rankings suddenly drop? Are your conversions mysteriously missing this month? Where has all the traffic gone? It takes a special kind of crazy to enjoy the challenges that come along with internet marketing. 7. SEO constantly changes: What worked last year isn’t necessarily working this year. What worked two years ago? Forget it. Keyword stuffing, meta keywords, link exchanging and many more techniques have gone from industry must-know to absolute no-nos. 8. SEO requires lots of accessories: Babies need a lot of stuff, hence the minivan takeover for countless parents. Effective SEO also requires a lot of special toys, tools and accessories. There are tools for analyzing competitors, tools for analyzing your own site, tools to measure search trends, tools for making sure your keyword density isn’t too high, tools to ensure Google can crawl every page on your site, tools to find your site’s broken links, tools to discover duplicate content and tools for using other tools! Master countless SEO tools to stay ahead of your competitors, you must. 9. SEO is fun: This should be more of an ‘if-then statement’ (If your SEO efforts are successful…). There’s really nothing better than out-selling your sales department using only inbound marketing is there? 10. SEO is growing: Lots of forecasts are out there proclaiming the growing importance of SEO for years to come. Ask yourself, do you foresee Google going away anytime soon? So there you have it, babies are quite similar to SEO after all. If you’ve got a few more similarities in mind do add them to the comments below!